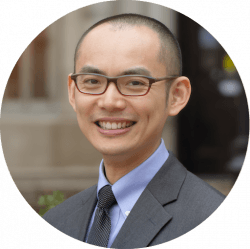 John Foo is the Assistant Director of Faculty Programs and Services for Science and Engineering at the CTL. John develops and facilitates programming and services for faculty, postdoctoral, adjunct, and other instructors. John is committed to enhancing STEM education and making it more equitable for and accessible to Columbia’s diverse student population. John joins the CTL from the Engineering Learning Initiatives and the Center for Teaching Innovation at Cornell University. There, he developed and facilitated training programs and workshops for undergraduate, graduate, and postdoctoral teaching assistants. As a Buttrick-Crippen Fellow for the John S. Knight Institute, John developed and taught the first engineering-themed First-Year Writing Seminar at Cornell. He has also assisted with teaching introductory and senior-level engineering courses, and was awarded Ph.D. TA of the Year by the Meinig School of Biomedical Engineering. John received his Ph.D. in Biomedical Engineering from Cornell University and his B.S.E. in Biomedical Engineering from the University of Michigan, Ann Arbor. His research focuses on the use of ultrasound to improve the delivery of therapeutic drugs to the brain. In addition to his academic pursuits, John enjoys karaoke, tennis, the outdoors, and new adventures!